I am interested in the conservation ecology of threatened species, the factors that threaten them and the methods we can use to effectively conserve them. I have researched these conservation issues in Australia, South Africa and Poland on marsupials, rodents, reptiles, invertebrates, ungulates and large predators. I have published on predator-prey interactions, reintroduction biology, population dynamics, spatial ecology, intra-guild competition, diet, ecosystem services, conservation effectiveness and status assessments. I also have experience in conservation management (reintroduction, pest animal control, conservation fencing, fire management) and have sat on several Australian threatened species recovery teams. I conducted a PhD on the conservation ecology of the vulnerable quokka – a small wallaby that the introduced red fox loves to kill – in the Western Australian jarrah forest. I then conducted two post docs in South Africa; the first on bushmeat hunting in the coastal forests of the Transkei with the Walter Sisulu University, and the second at the Nelson Mandela Metropolitan University to study the reintroduction of lions, spotted hyaenas and a leopard to Addo Elephant National Park. After this I undertook a Marie Curie Post-Doctoral Fellowship at the Polish Academy of Science’s Mammal Research Institute in Białowieża Primeval Forest. 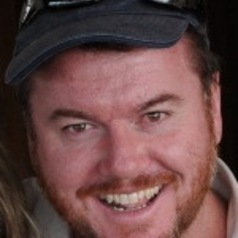 I was the Australian Wildlife Conservancy’s regional ecologist for six reserves in south-eastern Australia covering over 700,000ha and ranging from the deserts of Lake Eyre through the mallee to Sydney’s North Head where reintroduction, ecosystem services, feral eradication/control and fire management were key research issues. I moved into academia in 2013 and worked at Bangor University in beautiful North Wales until 2017, whereupon I returned to Australia to take up an Associate Professorship at the University of Newcastle.